There’s a reason most of us don’t photograph with only one lens; that we compose a subject using wide-angle, telephoto, fisheye, macro, high, low, and everything in between: a change in perspective. It’s one of the most dynamic ways to diversify your imagery, to add an element of the unexpected, to create something unique and special. Here I’ll offer an alternative method of image capture to further diversify the look of your imagery: flatbed scanning. For the wary, by no means does ‘flatbed’ scanning require you to scan something flat, making your options for object selection extremely extensive. Three-dimensional objects are just as easily captured by laying items directly onto the scanning plate and leaving the lid of the scanner open. With a look wholly its own, it offers an exciting aesthetic shift in the capture experience that can be incorporated into your photographs as an addition (think compilation, mixed-media, or collage art), or as an image-creating entity in itself. 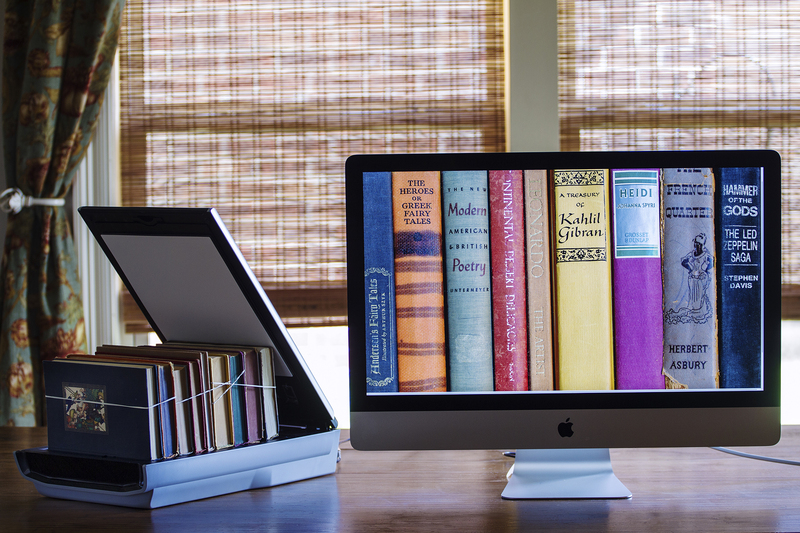 Vintage book spines are scanned using the CanoScan 9000F Mark II. First and foremost, scanning removes distance information, so there is no longer the incorporation of visual perspective. It’s as if you’re looking at an object in its most upfront, truest form. It has the effect of forcing your focus onto the object itself, revealing intricacies that may or may not have been noticed before. And this is unique because as a whole, this is not how we are accustomed to viewing imagery. There is no longer elongation, nor compression; no converging or fading distance information, no depth of field. The extremely narrow field of focus that scanning yields is a look unique to this method of capture. Here, black velvet fabric is draped behind the flowers to eliminate excess light, making the scanner itself the only light source. One of the most unique qualities of flatbed scanning is that it also removes the context surrounding an object. As a simple example, if I photograph a leaf on a tree, the image may be about the tree, or the leaf as one of many, or about elemental interactions with the leaf. If I scan the leaf, there is no longer the context of time, or weather, or location – the leaf becomes a single form entirely independent of any contextual information, the viewer left to infer the information for his or herself. 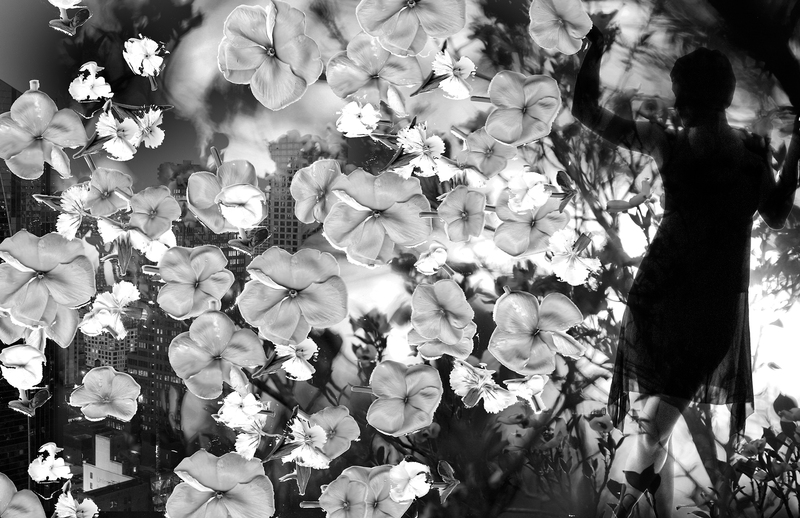 Rebirth, digital capture with scanned flowers. 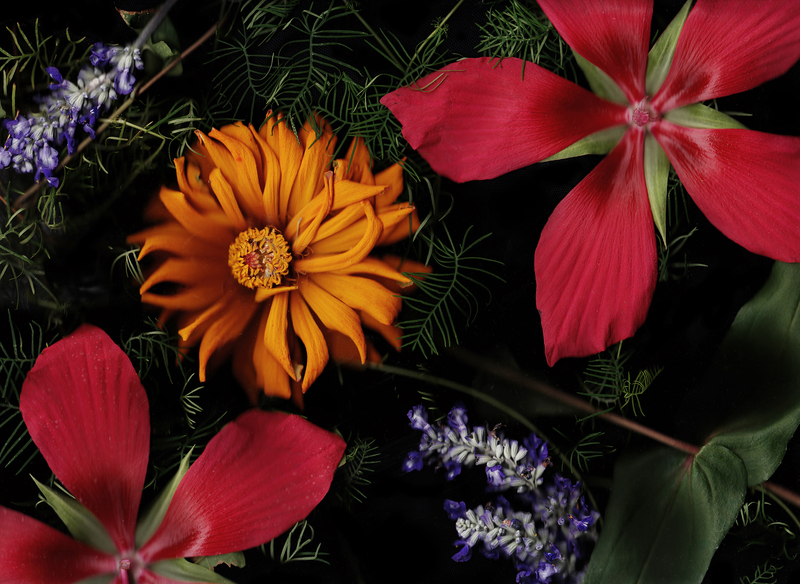 A grouping of flowers was laid directly onto the scanning bed for capture, and then layered over a composited digital image in Photoshop. Officers 3rd Training Battalion Ft. McLellan, AL 1942 (Laborde). 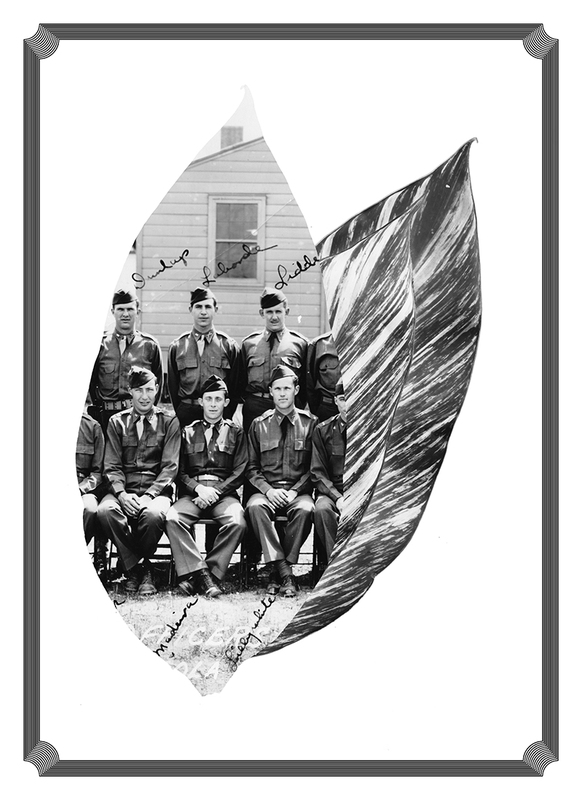 For this image, a photograph of my grandfather's training battalion and variegated ginger leaves from my garden were scanned independently of each other, and the final composite created in Photoshop. I love that scanners are easy to use. 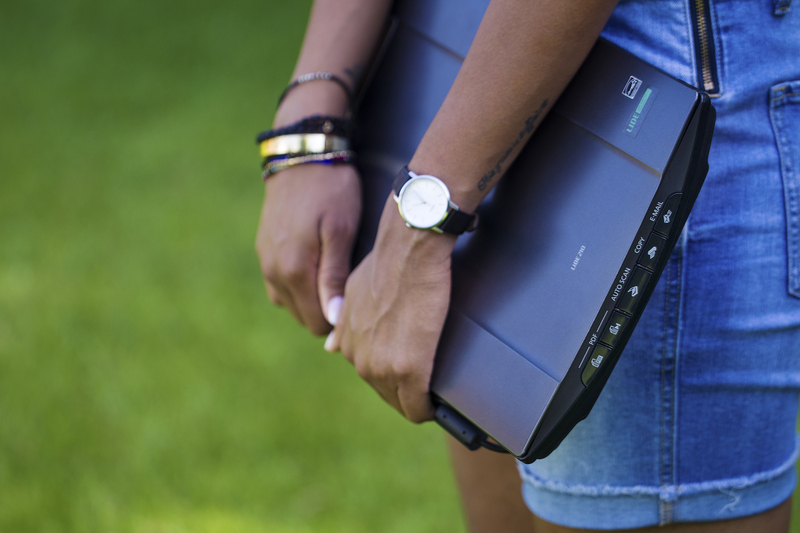 With many connected exclusively through USB (such as the CanoScan LiDE 210), there are lightweight options as portable as your laptop. Larger scanners like the CanoScan 9000F Mark II offer high enough resolution that you can scan the smallest of objects with incredible detail (including film). With capture resolution of 9600x9600 16 bit for film/4800x4800 for all other media, the scanners render a quality and color gamut fine enough for large-scale printing, while JPG and TIFF formats make for easy integration with your existing photographs. The Canon scanning system as a whole defines ease-of-use, with a scanning driver that simplifies the process, making the experience both accessible for beginners and versatile enough for professional users. The portability of these photo scanners makes them ideal for travel and on-site scanning. Consider the scanner as an extension of your camera, a tool for image making dissimilar to those in your camera bag (and an inexpensive tool at that!) Far beyond traditional uses like digitizing photos and documents, the scanner is, in itself, a camera.